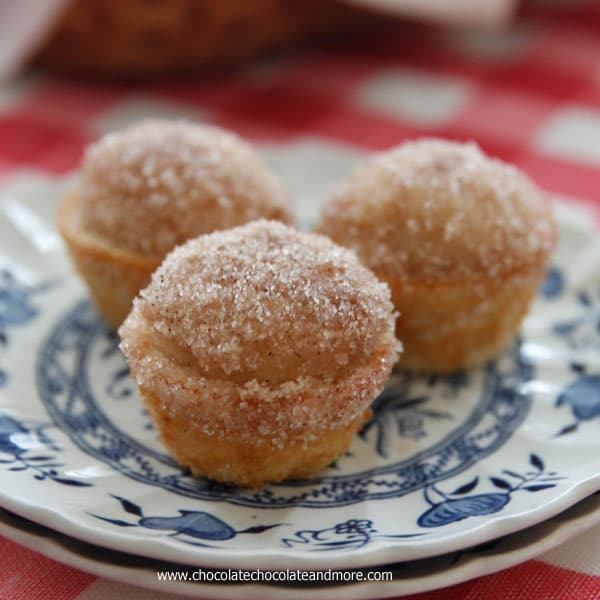 Cinnamon Sugar Donut Muffins - Chocolate Chocolate and More! 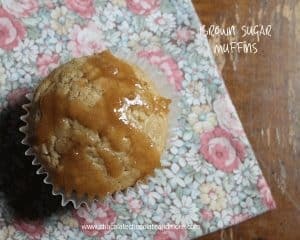 Cinnamon Sugar Donut Muffins-the softness of a donut in the shape of a muffin, covered with cinnamon sugar. Have you ever noticed when you make something mini, even though you have more of them, they disappear faster? It’s true. That’s why mini anything is always great for a party. Like these muffins. Just a few simple ingredients. 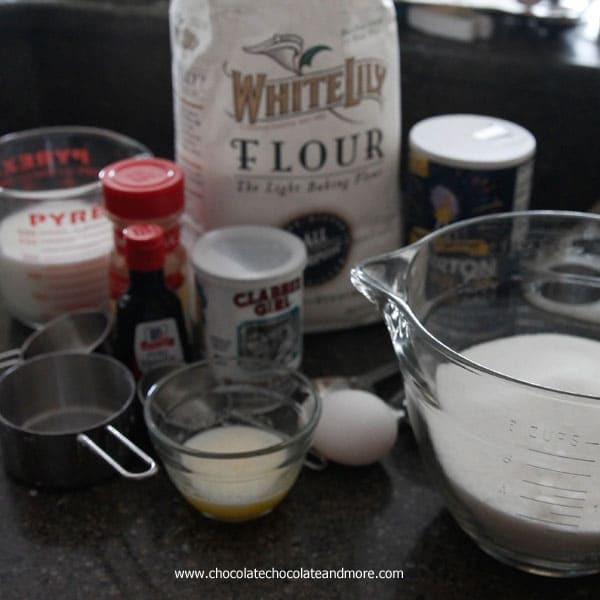 White Lily Flour, Sugar, Baking powder, milk… you probably have everything you need on hand. Make sure to grease your pan well. These will stick to your pan. If they do, just remember my plastic knife trick. Then hide them from the family. 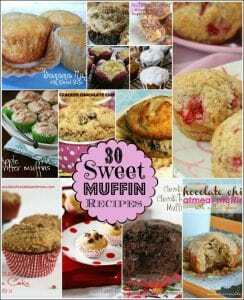 Or make a double batch because even when you have 36 mini muffins, they will still disappear in minutes when they get their hands on them. Cassie immediately claimed these to take to school the next day but they were all gone by morning. Combine flour, sugar, baking powder, salt and cinnamon in a large mixing bowl. In a separate bowl, whisk together milk, egg, melted butter and vanilla. Pour wet ingredients into dry ingredients and stir just until mix and no large lumps remain. Small lumps are ok. Batter will be runny. Fill well greased muffin cups to 2/3 full. Bake in a preheated 350 degree oven. 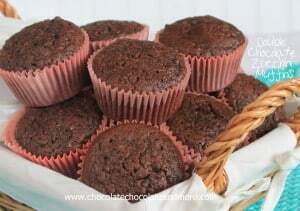 For mini muffins bake 12-14 minutes, for full size muffins, bake 15-17 minutes. Remove from oven and let rest in pan for 5 minutes then remove to racks to cool. 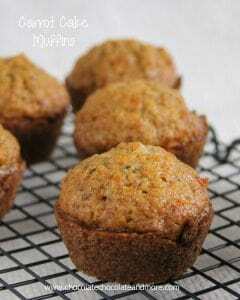 If needed, use a plastic knife and run it around the sides of the muffins to loosen. Once cooled, combine sugar and cinnamon topping. 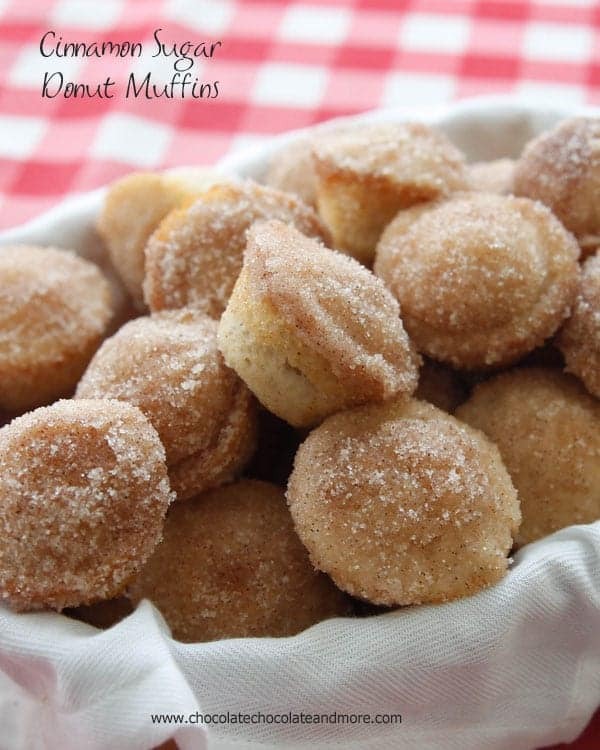 Dip tops of muffins in the melted butter than roll the top in the cinnamon sugar to coat. Place back on rack and repeat with remaining muffins. These muffins freeze well. If freezing, freeze before adding topping. These look so addictive! I could eat the whole pan! Love love love! 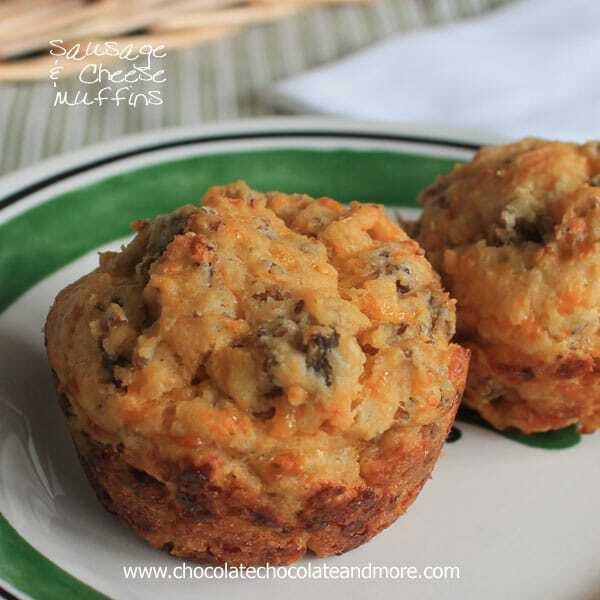 Thank you for linking up my muffins, Joan! You got that right- mini deserts are awesome and certainly disappear faster around here! mini muffins will be there! Thank you so much. These would be perfect for that event. I hope everyone enjoys them! I am making these muffins ASAP!!! 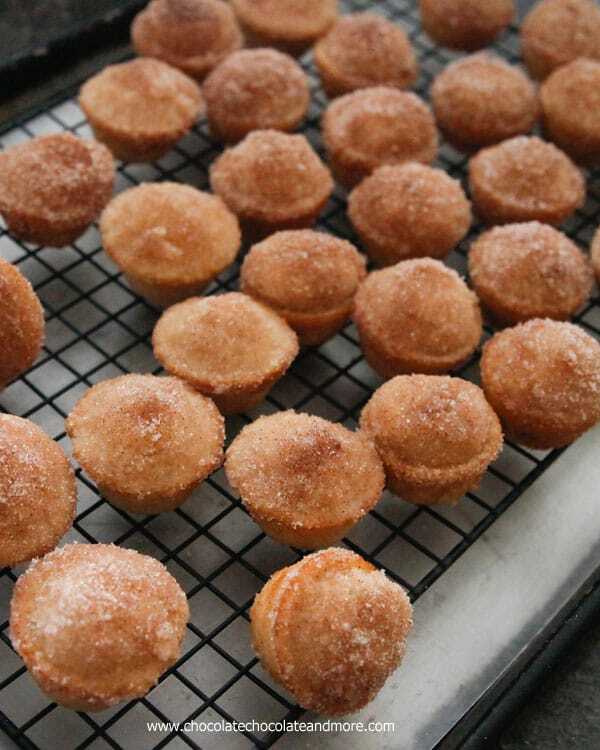 I’ve never made donut muffins but these look so good that I’ve got to try them. Pinned. Do you have to use that pitcular flour? They look yummy. You can use any brand all-purpose flour. Made these this morning they are yummy and so easy to do but I did have trouble with them sticking to the pan despite greasing really well. I would suggest muffin cases as so many of mine broke (even with the plastic knife trick!) I also found them just a tad too sweet so will reduce the sugar a little next time. 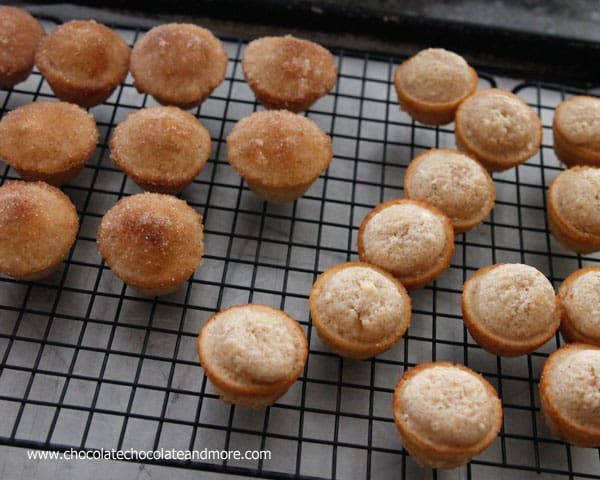 Does the flour in the Cinnamon Sugar Donut Muffins need to be Lily Flour? I’ve never seen it! You can use any brand all-purpose flour. In the south, we love White Lily, it makes the best biscuits! I was just thinking about these today. Glad I found them. I printed the recipe. Great recipe. My Aunts favorite donut so had to try it. Only had a regular size muffin pan and used all purpose flour. Being from Ontario, Canada I use all purpose for everything. Muffins came out with the texture and taste of a donut . Would love to try other donut recipes in muffin cups. 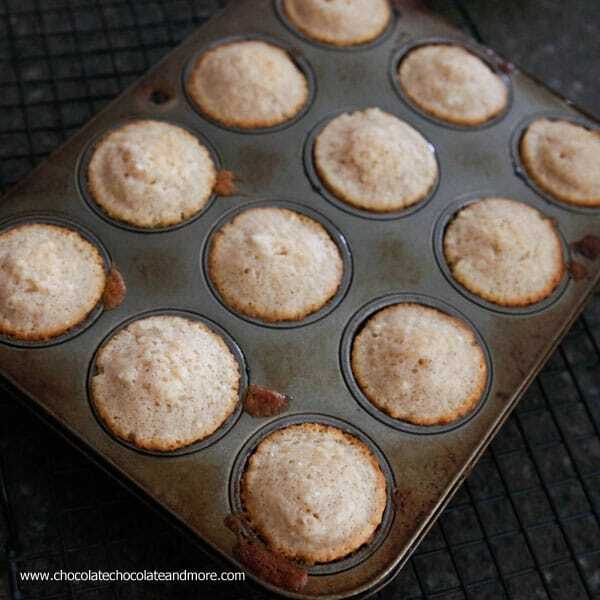 Going tomorrow for mini muffin pans. Just made these for the family this morning for breakfast. Everyone loved them! My batter made 16 regular sized muffins. For roughly 200 calories each muffin, they can’t be beat! Will definitely be making these again! I love anything with cinnamon, these look wonderful! Great for the lunchbox! I made these donut muffins this afternoon. They came out kind of spongey. A little too chewy. I am not sure what I did wrong. I combined wet ingredients and dry ingredients separately and then mixed both together. There were lots of bubble holes in the finished muffins, so I know the baking powder worked. They taste okay but I don’t care for the texture. Any ideas on what went wrong? I know these little bits of goodness by the name of “Dirt Balls”!! I just tried your recipe and they were great. my toddler is a really picky eater and he loves them. Jessica, I’m so happy that you and your little one enjoyed these!